Browse downloadable e-books at OverDrive! Enjoy these collections on your computer or on a wide selection of portable devices. The e-book topic selection includes humor, romance, mystery, drama, westerns, cooking and much more! Enjoy titles anytime, anywhere with OverDrive Media Console The Media Console Mobile version allows you to download items directly to your device without attaching it to a computer. You Can also try the NEW one-tap reading app LIBBY by Overdrive available for mobile devices and computers. Meet the new one-tap reading app by Overdrive. Download eBooks anywhere, anytime. The App is currently available for iOS devices. Get it on Google play or Microsoft. 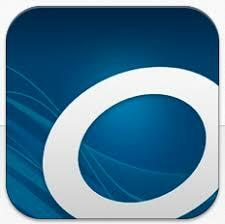 Download eBooks directly to your iPad/iPhone with OverDrive App or Kindle App. Books are delivered over Wi-Fi. Download eBooks directly to your Android Phone or Android Tablet with Overdrive App or Kindle App. Books are delivered over Wi-Fi. Download eBooks from the library. Transfer to Nook with Adobe Digital Editions & USB cable. Download eBooks from the library for Kindle. Books are delivered to your Kindle Account. Manage library books just like your other Kindle books!